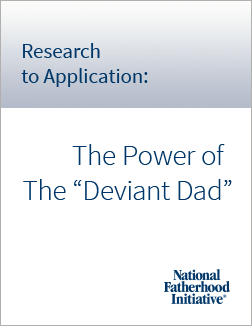 Research to Application: The Power of the "Deviant Dad"
As the nation’s #1 provider of fatherhood skill-building programs and resources, NFI provides guidance for practitioners and organizations on how they might be able to use to use the latest research on human behavior to enhance the effectiveness of their work with fathers. NFI provides this guidance in a series of blog posts called Research to Application: Guidance for Practitioners and Programs. The series is also available in the form of quick reference guides that you can download by clicking on the button at the end of the posts. The series offers a platform for generating dialogue among NFI, organizations, and practitioners on ways that research can be applied to addressing pain points in serving fathers. This post is the second one in the series. (To access the first post, click here. To access the second post, click here. To access the third post, click here.) 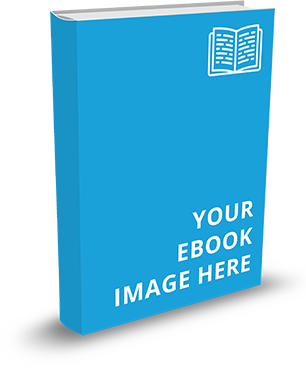 It provides ideas on how you might integrate research on positive deviance into your work with fathers. Integrating this research can help you identify model fathers who have overcome great odds to become involved, responsible, committed fathers, models you can share with other fathers who struggle to do the same. Positive deviance (PD) is founded on the premise that at least one person in a community, working with the same resources as everyone else, has already licked the problem that confounds others. The individual is an outlier in the statistical sense—an exception, someone whose outcome deviates in a positive way (emphasis added) from the norm. They share examples of how professionals have created programs to address such wide-ranging subjects as improving child nutrition (Vietnam), reducing female circumcision (Egypt), reducing hospital infections (United States), and reintegrating abducted girls—turned into soldiers after abduction—back into the community (Uganda). What links all of these examples, and is a hallmark of using positive deviance, was the use of ethnographic research methods, primarily observation, to identify outliers who engage in positive behavior (i.e. the innovation in the community) to produce the outcomes the professionals sought (e.g. children who were well nourished and girls who weren’t circumcised), and then to understand the steps (process) that the outliers followed to produce the outcomes. The professionals used what they learned to design programs that had community involvement—indeed that were primarily community run—that spread knowledge and skill development related to the behaviors that led to the positive outcomes. The Pashtun-speaking people in the remote mountains of North-West Frontier Province, Pakistan, endure one of the world’s highest infant mortality rates. One of every twenty newborns dies within the first year of life. A fiercely independent people, their communities have a long history of rebuffing the efforts of health authorities to address this problem. Recognizing these inhibiting features as conditions in which positive deviance often flourishes, Save the Children resolved to give the process a try. It was agreed that a good initial step would be to create reliable maps of recent village experience with newborn survival. That very evening, the first of what was to become a number of such efforts took shape with improvised materials representing houses, streets, mosque, and market-place. Hunkered on the ground, using colored felt-tipped pens to code stones into categories (e.g. families with no children, families that had lost a newborn since the previous Ramadan, etc.) the men created an epidemiological map. A green dot on a village home denoted a newborn who had survived. Black denoted less fortunate households. Orange, yellow, brown, and purple indicated cause of death—umbilical chord infection, asphyxia, diarrhea, hypothermia, or extremely low birth weight. Participants became wholly engrossed. Why had some newborns, born under exactly the same conditions as those who died, survived and flourished? These conversations would ultimately pierce the shroud of “Allah’s will." As the men were compiling census data, a parallel endeavor unfolded among the women. In their case, beans were the artifact of choice for the mapping process. Analogous to the Eskimos’ proverbial twenty-three words for “snow,” Pashtun women traffic in the currency of beans, a staple of everyday diet. Differences between beans are subtle to the untrained eye but as distinct as words in a dictionary for the literate. The women’s maps had deeper texture. They understood precisely what went on in the first two to three weeks after each child was born. Considerable care was devoted to creating these epidemiological maps. They captured who was born, who died; babies that had diarrhea, were underweight, or experienced respiratory difficulties or umbilical cord infections but survived. The end result was a composite picture of the men’s and women’s efforts. Unsurprisingly, the ensuing process was not conducted as “interviews” but informed through stories. Pashtun life is captured in oral tradition. While there are no written diaries or civic records, memories provide an astonishing wealth of detail. When a baby is born, neighboring women visit, discuss, observe, and commit to memory what happened and how. To accommodate this tradition, tactile objects such as homemade stuffed dolls were employed to capture what people do, not what they know. This impelled the classic shift from the “what” to the “how.” Enactment confirmed that many households delivered the baby in an animal shed because delivery was regarded as messy. Some sessions evoked stoic accounts of tragedy as mothers-in-laws, new mothers, and traditional birth attendants (dais) elaborated on infants that had turned blue and died a few hours after a winter delivery. Reenactment with rag dolls and crude material substituting for umbilical cord and placenta revealed how the dais attention switches from the newborn to the mother as soon as the baby is born. Miriam, one of the oldest and most respected dais in the village, enacted the common practice of placing the naked newborn on the mud floor so those present could blow prayers over it. In the cold Haripur winter (with no source of heat and insulating blanket between baby and damp earth), hypothermia was the unintended result. Once common practices had been captured, it was time for the PD inquiry itself—the search of PD’s. Earlier mapping helped the group identify families who had “at risk” newborns who had survived against all odds. Small groups of male volunteers joined Shafique and his team to visit and chat with the male members of these families to find out what they had done. A similar process took place among the women. Pashtun tradition is exquisitely sensitive to not awarding social recognition to one person at the expense of others. It was understood that “heroes” would not be singled out—rather, discoveries would highlight successful practices, not individuals. The men’s visits with male relatives shed light on the PD practice of using a clean razor blade to cut the umbilical chord. One PD husband had created a “clean delivery kit.” Another took his wife to the clinic for a prenatal exam. The list of practical and successful expedients gradually expanded. In parallel conversations, men and women discussed their findings. At times this triggered heated debate. Vetting ensured the most relevant strategies and practices would gain ascendance. Convergence wasn’t always easy. It was time to share discoveries with the larger community. Separate male and female community meetings were carefully choreographed to share the findings from the home visits. Eager villagers came together to hear about some of the secrets that could save newborn lives. The design of this phase gave testimony to the villagers’ latent creativity, confirming yet again that a community knows best how to engage its own. At the conclusion of the community meetings, volunteers gathered to develop a strategy to enable the whole community to practice the successful but sometimes controversial strategies that had resulted in newborn survival. It was decided that the men should gather once a month at the tea shop in their mohallahs (neighborhood meetings), recount stories of recent newborns, discuss what they should do, learn more about pregnancy and delivery, and perhaps practice some new behaviors. Women developed a similar plan for monthly mohallah sessions where more elaborate new behaviors were practiced as well as stories of deliveries where the new behaviors were adopted. The point, of course, was to reinforce the focus on the effect of PD practices and to highlight the importance of the participation of both mothers and fathers in the survival and well-being of their children. The point, of course, is not that this example has direct application to increasing father involvement in this country. It shows, however, that even in a culture in which fathers were involved only at the margins in an aspect of child well-being that the use of positive deviance can overcome extremely challenging barriers to greater father involvement. The PD approach the authors outline involves much more than simply finding outliers. It involves getting a community to own a problem and then mobilizing the community to solve the problem. Nevertheless, you can use the “finding outliers” portion of this approach to identify models of fathers who have overcome great odds to become an involved, responsible, committed father that you can share with other fathers. You might also be able to involve fathers in developing an approach that will help other fathers to overcome great odds. Involving model fathers to influence other fathers will increase buy-in from other fathers because the solutions come from and are delivered by fathers like them. Here are some ideas to consider. How did you become involved in the lives of your children? What barriers did you face in becoming involved? What steps did you take to overcome that (those) barrier(s)? (Or) How did you solve the problem(s) that (those) barrier(s) presented? What advice would you give to a father who faces the same barrier(s)? Keep an open mind to how the father overcame the odds. Resist judging his solutions. Pay particular attention to uncommon or unusual solutions the father developed. If after he shares his experience you think he provides a good model for you to share with other fathers, ask him whether he’d be willing to share his story. 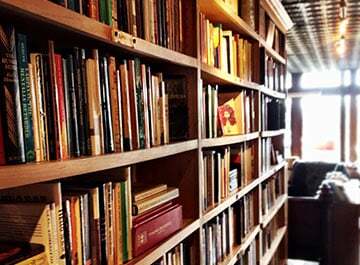 He could share through you via a case study you could write on his story. If he is part of a group of fathers you work with, ask him to share during a group meeting/session. If you don’t work with such a father, commit now to finding such a father so you can eventually apply the idea above. If you’re fortunate enough to work with several fathers who have overcome great odds, ask them whether they will volunteer to develop an approach to sharing their experience with other fathers, and whether they will share their experience. (Some or all of these model fathers will act as spokespersons, so they must be reliable and credible. Be careful in your choice of them.) If they are willing, gather them (e.g. in a focus group) and ask them the kinds of questions identified above. Then have them design an approach that focuses on strategies and tactics (i.e. specific behaviors rather than simply sharing knowledge) for overcoming barriers that will help other fathers become involved in their children’s lives. Focus them on the “how to” of transferring these behaviors to other fathers. Consider asking the fathers to not only develop an approach for transferring behaviors to fathers served by your organization, but to include ways to transfer those behaviors to fathers they can access in other parts of the community. You will probably have to hold several meetings to use this approach. Regardless of how you apply positive deviance, approach your effort as an experiment. 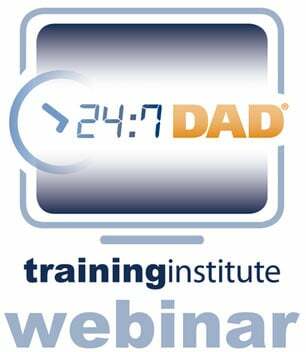 Keep track of what works with fathers in general and with specific kinds of fathers (e.g. custodial and non-custodial) so that you can apply what works in future work with fathers one-on-one or in groups, and avoid what doesn’t work. And last but not least, share your results with NFI at info@fatherhood.org so that we can improve future versions of this guide. As you apply positive deviance to identify models of fathers who have overcome great odds to become an involved, responsible, committed father, consider reading The Power of Positive Deviance. We also recommend the book Switch, which discusses a similar idea the authors call following the “Bright Spots” (i.e. find what’s working and “clone it.”). This similar idea is part of a larger framework (the Switch Framework) that you might find useful in your work. Get the full PDF version of this study today! Don’t forget to look for more posts and reference guides with post 1, post 2, and post 3 in this series! Pascale, R., Sternin, J., & Sternin, M. (2010). The Power of Positive Deviance: How Unlikely Innovators Solve the World’s Toughest Problems. Boston: Harvard Business Press.